Whether you notice poor air conditioner performance or clear signs of dirt, it is easy to tell when it is time for HVAC unit cleaning. Let us do this job for you to save you time and effort and to give you perfect and long-lasting results. Our company has many years of experience in the industry and works with absolutely all types of HVAC systems and their units. The design, age and brand are irrelevant as we service systems of all types. You simply need to reach us whenever you notice the troubling signs of extensive dirt accumulation around the condenser unit. 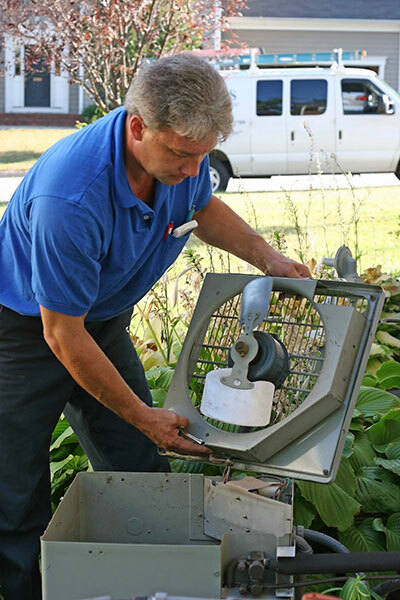 You can also hire our service as part of regular HVAC maintenance. All of our customers receive the required solution in the shortest possible time. Our technician will come right on time, perfectly equipped for the job. At "Air Duct Cleaning Walnut Creek"we place major importance on punctuality as well as on the quality of our professional solutions. The first step of the process is the inspection of the unit. The check focuses on the type and amount of dirt present in the unit and on its overall condition. The technician will select the best techniques and tools for condenser unit cleaning based on these factors. The job is done with maximum precision to ensure that even the smallest debris pieces and dirt particles are removed. Rest assured that even the smallest crevices will be reached during the process. When required, our service will include air filter replacement as well. This is how the best end result will be achieved. 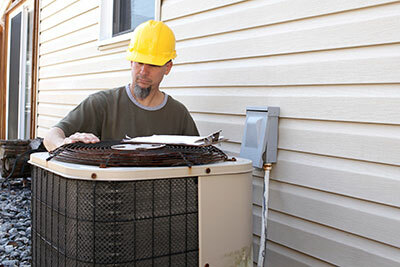 Rely on us to resolve more serious issues affecting the HVAC unit as well. If there is mold growth, it will be eliminated with the use of advanced UV cleansers. UV light is used to destroy the fungus safely and effectively. Since mold is quite easy to spread, the ductwork will be checked for it as well. If the fungus is present there, air duct cleaning will be needed. We will do the job perfectly without wasting any time. Mold will be removed from all surfaces including the filters. With a perfectly clean HVAC system, you will enjoy a cleaner air indoors, and the system won't consume as much energy as before. Contact us online or give us a call today!